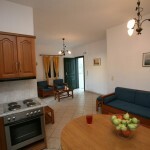 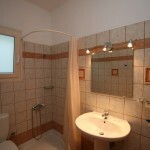 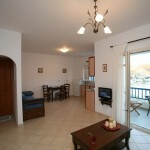 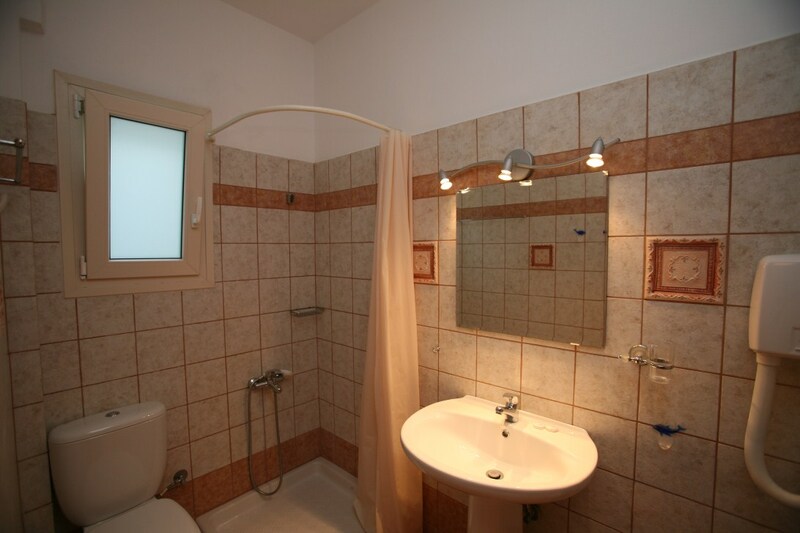 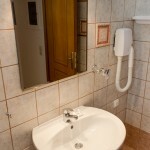 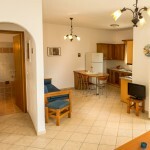 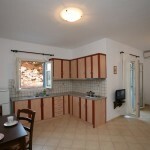 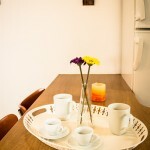 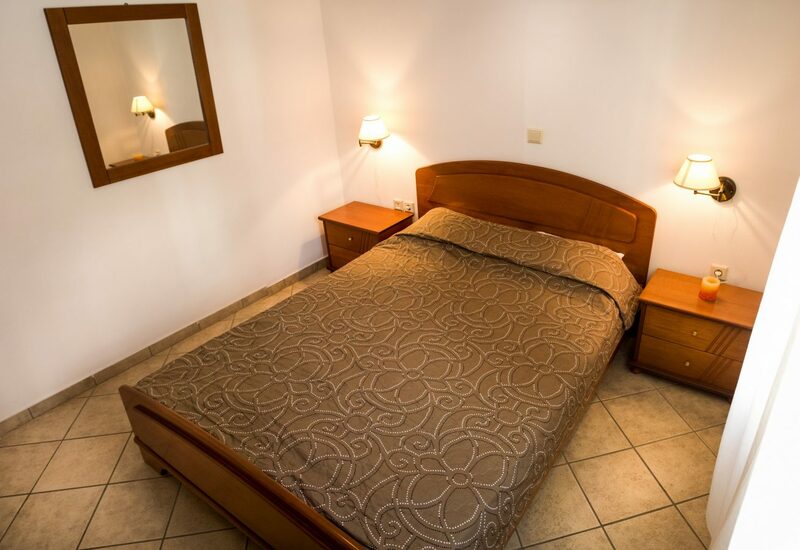 It consists of a separate bedroom, a living-room with sofas that turn into beds and a fully equipped kitchen. 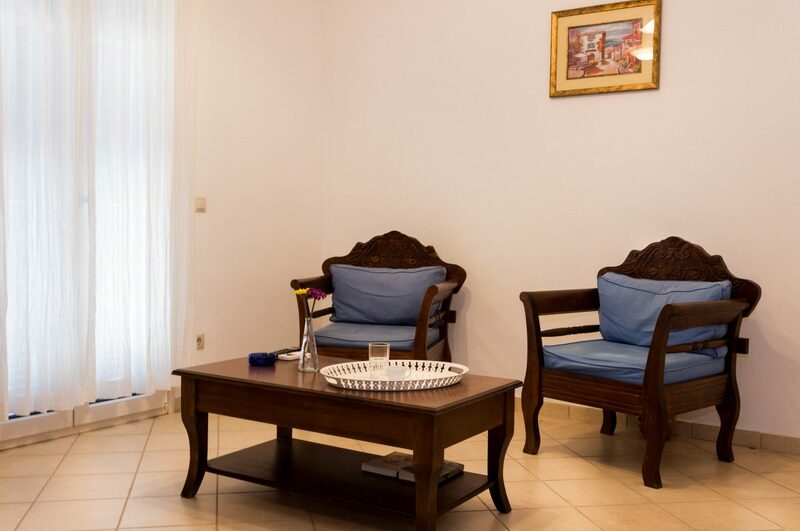 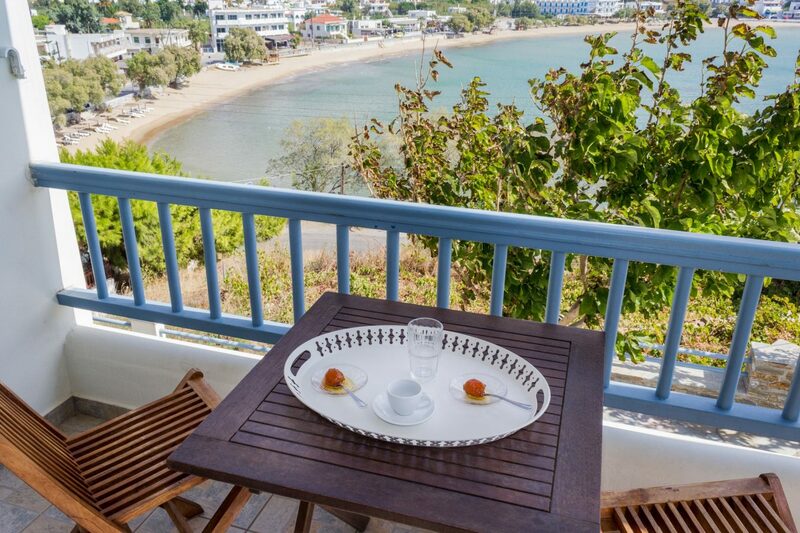 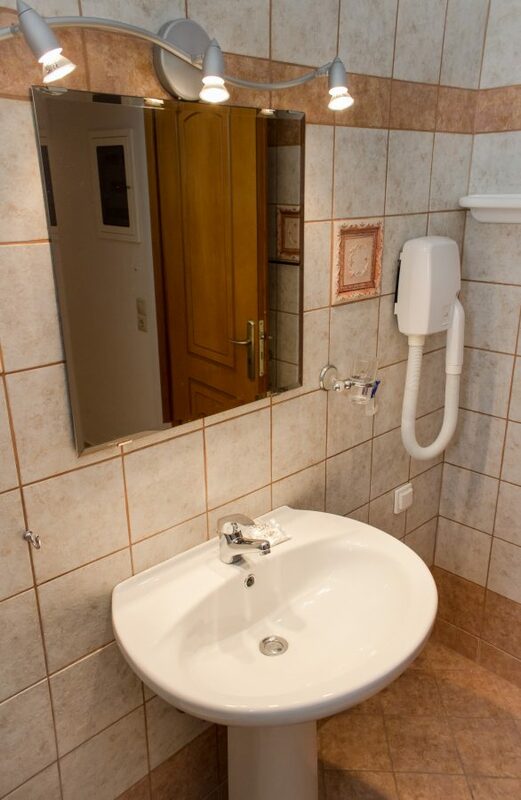 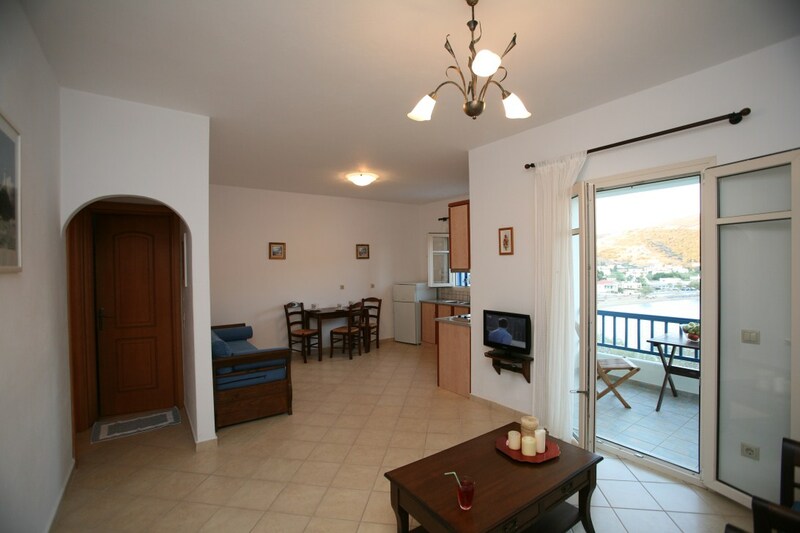 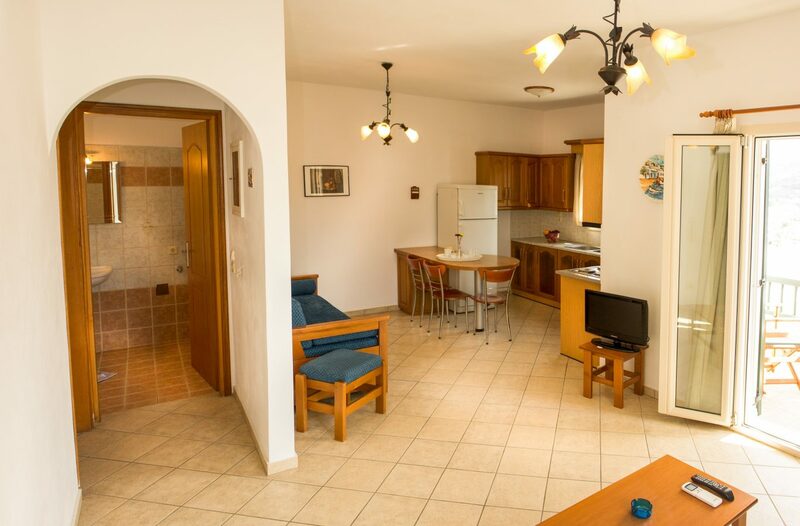 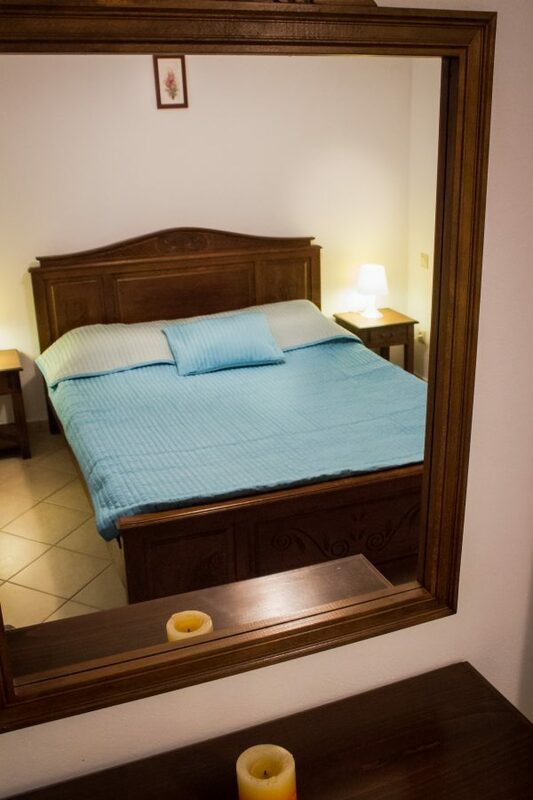 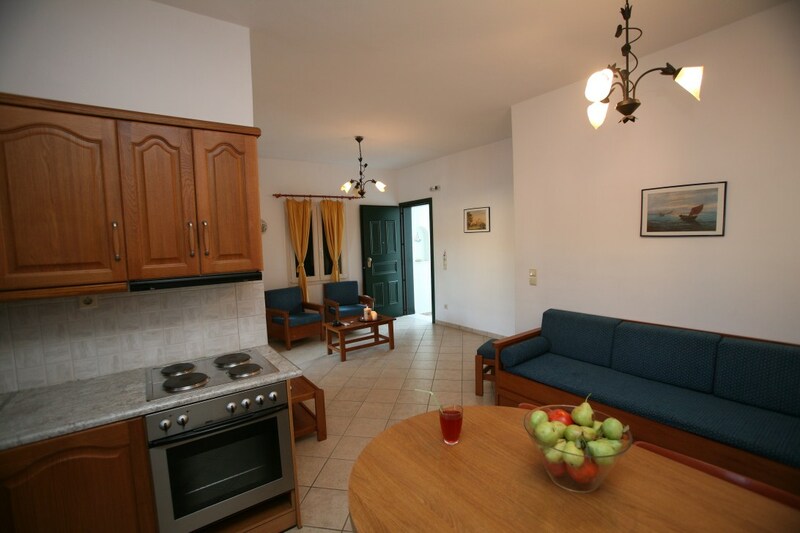 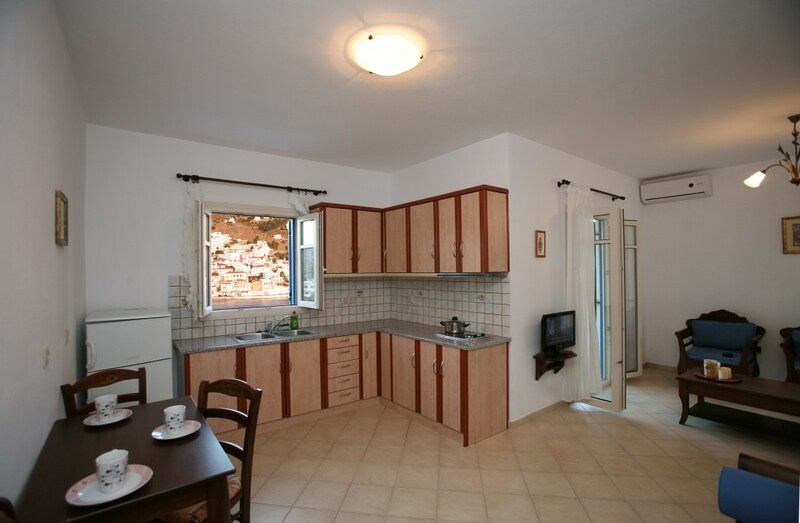 Moreover, the apartment has a security door, reclining windows, traditional furnishing, 2 A/Cs, television, Internet and private balcony giving visitors the opportunity to enjoy the panoramic view of the blue sea. 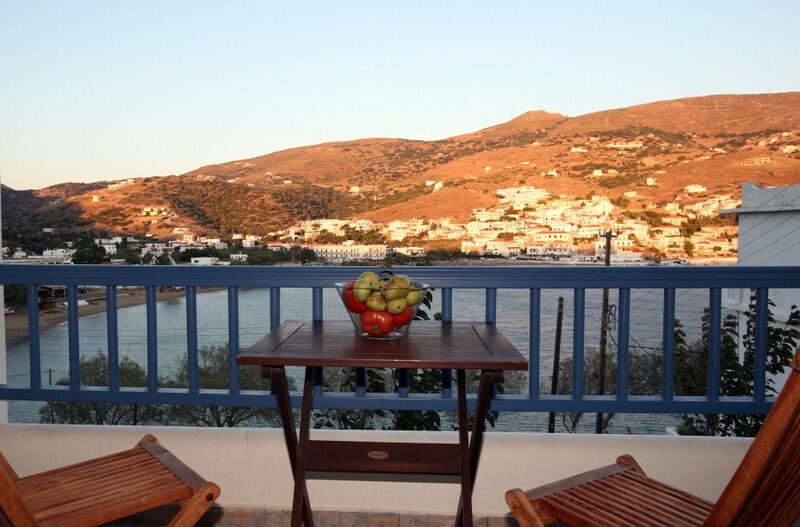 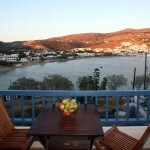 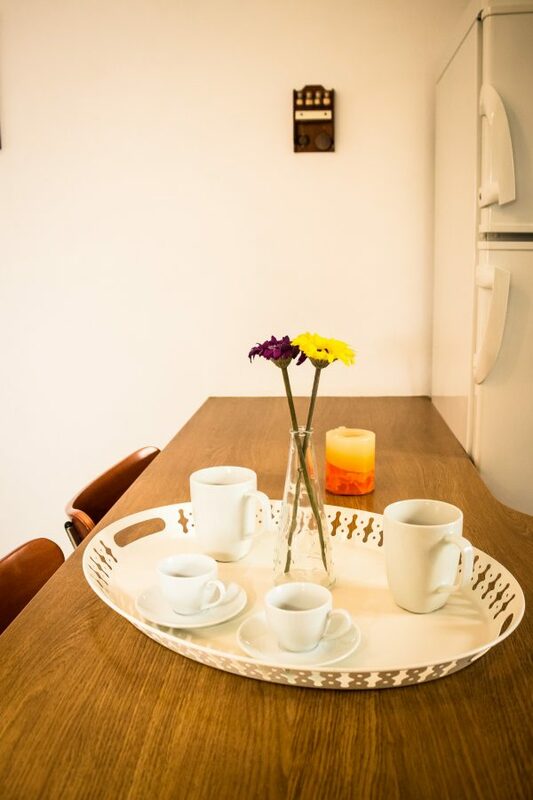 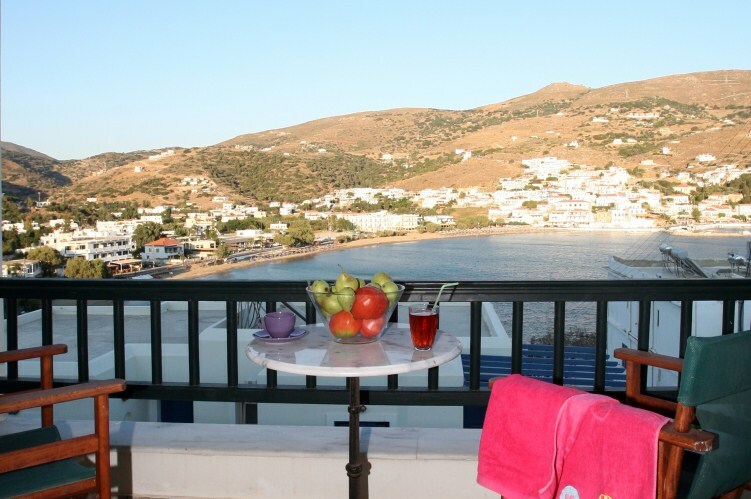 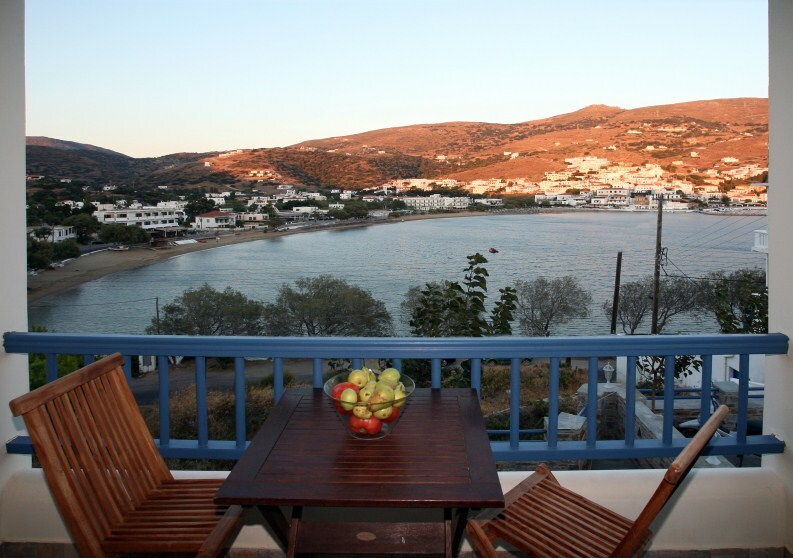 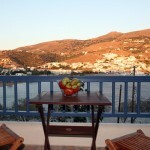 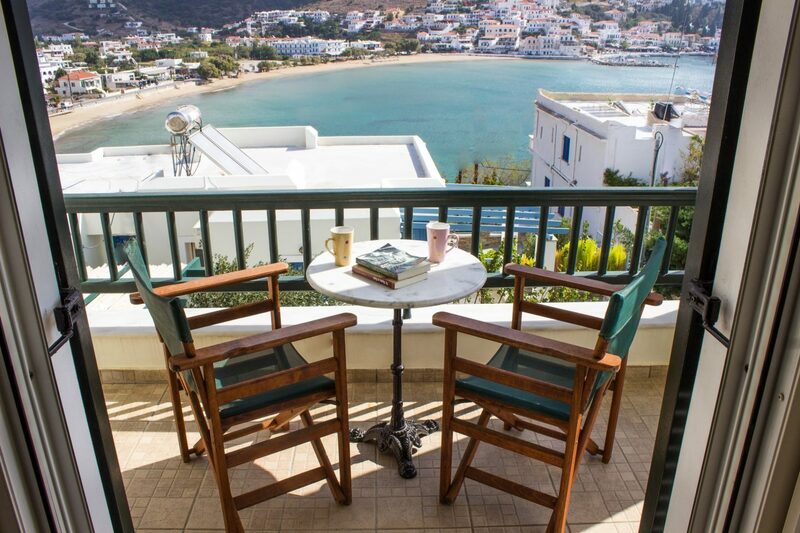 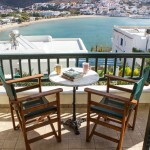 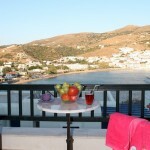 Almar Apartments is a tranquil heaven, a small family accommodation in Batsi Andros, reserving the pattern of traditional Greek hospitality and culture of Cyclades islands.